Delia who writes over at Postcards from Asia is one of my favourite bloggers. I love how well she interacts with her readers. "I was born in the land of Dracula..." she introduces herself on her blog, and on cue, the dark atmospheric horror fiction she writes never fails to chill me. But more than anything, her posts on culture and travel inspire me to try new things on my blog. You should really check out her site. This year she has been posting a series of guest posts, interviewing people about their taste in books and their experiences as bloggers and writers. When Delia asked me for a guest interview on her blog, I was thrilled and humbled. In the post that went live tonight, I share what books taught me, my favourite writers and more. Click here to read my post on Postcards from Asia. I hope you like it! A long time ago, I read Freakonomics and decided "pop economics" was not my breed of non-fiction. This was a mistake, because my problem with Freakonomics had mostly to do with aesthetics. Dubner's writing was gimmicky, overeager and his cult-like devotion for Levitt was plain creepy. 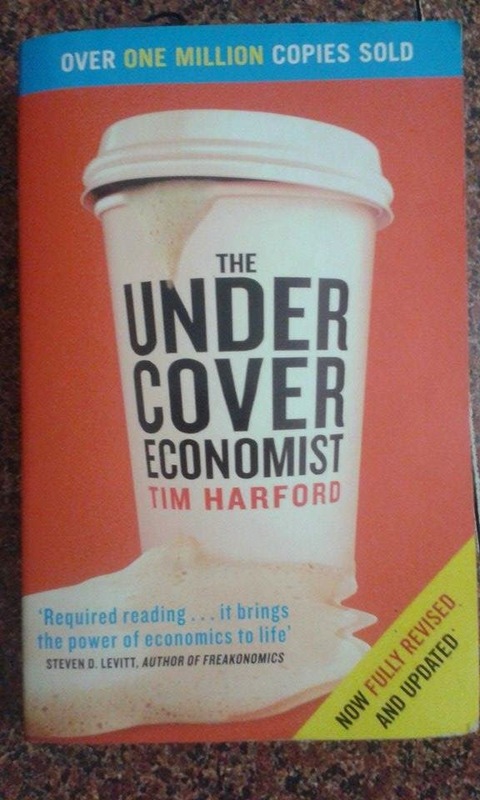 The Undercover Economist by Tim Harford came recommended as a simple but interesting book on economics for people who know nothing about it, i.e. me. "My aim in this book is to help you see the world like an economist. (...) It's detective work all the way, but I'll teach you how to use the investigative tools of the economist. I hope that by the end, you'll be a more savvy customer - and a more savvy voter too, able to see the truth behind the stories that politicians try to sell you. Everyday life is full of puzzles that most people don't even realize are puzzles, so above all, I hope that you will be able to see the fun behind these secrets." His writing is witty, engaging and full of life. With non-fiction, I know, writing style faux pas might easily be forgiven. But when an author nails the style, it is worth the mention. 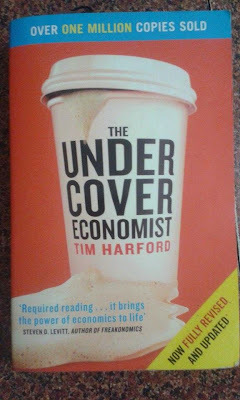 Where Dubner and Levitt show how economics can be fun and wacky, Tim Harford talks about things that are a lot more relevant to people all over and gives you an economics-way of looking at things. The Undercover Economist explains the basics of economics and why you should care. The book is well organized. It starts with concepts smaller in scope, like the cost of coffee and orange juice. The initial chapters discuss price-targeting and the power of scarcity through everything from high rents in London and the price of popcorn at the cinemas to trade unions and resistance to immigration. For instance, have you ever wondered why wine is more expensive in restaurants? "Because one of the big costs in a restaurant business is table space. Restaurants would therefore like to charge customers for dawdling, but because they can't do that, they charge higher prices for products that tend to be consumed in longer meals, like wine, appetizers and desserts." Whenever Harford introduces economic jargon, the technical terminology comes with lay explanations. It is not until the fourth chapter that Harford attempts to define economics, and even then, what he says is comforting, if naive. "Most economics has very little to do with GDP. Economics is about who gets what and why. There is much more to life than what gets measured in accounts. Even economists know that." With every chapter, Harford goes on to more macro concepts, from health insurance to globalization, until it ends with an awesome coming-together of all you've learnt till then. He may not do any ground-breaking theorizing of his own, but in the final three chapters, Harford cites the works of other economists, and expands on three globally pertinent topics - the impact of the spectrum auctions, trade barriers and poor countries and a brief history of China under Mao's rule and its later economic reform. The last chapter is attractively titled How China Grew Rich and the book ends on a positive (though fairly controversial) note. "In the end, economics is about people - something that economists have done a very bad job at explaining. And economic growth is about a better life for individuals - more choice, less fear, less toil and hardship." Yesterday I finished another book called The Articulate Mammal by Jean Aitchison. It is a simple and interesting introduction to psycholinguistics to those who know nothing about it. I am not those people. To me, the book is simplistic and biased, Aitchison focuses a lot on Chomsky, and little on his critics. I mention this because the same may happen with The Undercover Economist if you are not new to economics, unlike me. Especially if you are not in favour of some of the things Harford holds an obvious bias for, like free markets, or if it infuriates you that he concludes the book stressing that "sweatshops are better than the alternative". Dear econ-nerds, discount him his stronger opinions and appreciate all the knowledge he has packed into this book. For the rest of you lay people, this is a must read. The Financial Times blurb on the first page says it best, "The Undercover Economist is an excellent Undercover Introduction to Economics. If you think that sounds boring, you probably ought to read it." 1. You, by Steeleye Span - This English folk-rock band collaborated with Sir Terry Pratchett to produce an album based on his book, Wintersmith. Wintersmith is the third of the YA books of the Discworld series starring a young witch, Tiffany Aching. In this book, the wintersmith falls in love with Tiffany, and to be with her, winter turns itself into a human. You is about just that sort of obsessive love. Favourite lines: "A statue of your likeness, floats through my dream, carved in ice and glacial blue. You're in my heart forever, or so it seems, now everything I dream turns into you." 2. Moon Over Bourbon Street, by Sting - This song was inspired from Interview with the Vampire by Anne Rice and it certainly brings out the mood of the novel. It was the duality of Louis's character, so says the singer in an interview, that interested him; the idea that there is this wretched soul that must do evil yet wants to stop. A song about wanting to belong, I want to reread the book every time I listen to Moon Over Bourbon Street. Favourite lines: "The brim of my hat hides the eye of a beast, I've the face of a sinner but the hands of a priest. Oh you'll never see my shade or hear the sound of my feet, while there's a moon over Bourbon Street." 3. Jacob Marley's Chain, by Aimee Mann - Aimee Mann is one of my favourite singers all thanks to Buffy, so my favourite song by her remains Pavlov's Bell. But her simple lyric never fails to charm. This song is based on a character out of The Christmas Carol by Charles Dickens. Watch the video for to find out what inspired her and listen to the song. Favourite Lines: "But it's not like life is such a vale of tears. It's just full of thoughts that act as souvenirs, for those tiny blunders made in yesteryears, that comprise Jacob Marley's chain." 4. Never Let Me Go, by Judy Bridgewater (Jane Monheit) - This is the fictional song that gives its title to the poignant novel Never Let Me Go by Kazuo Ishiguro. One of the key scenes in the story is about the heroine Kathy secrets dancing to the song, as a young girl, wishing she had a baby, or someone to call her own. The fictional song was realized beautifully for the film adaptation of the book. I'll admit, I like the scene more than the song. 5. Rocket Man, by Elton John - The Illustrated Man by Ray Bradbury, a collection of science fiction short stories, includes a small piece called The Rocket Man, which is about a man leaving his wife and son to go off in his rocket for three months only to return to his family for three days every time, leading a half-life, belonging neither here nor there. I had listened to the song before, but the story really left an impression on me, and I have loved the song since. Favourite lines: "And I think it's gonna be a long long time till touch down brings me round again to find, that I'm not the man they think I am at home." 6. Paperback Writer, by The Beatles - Surely you expected to find this on a list of songs about books. It is so catchy! 7. 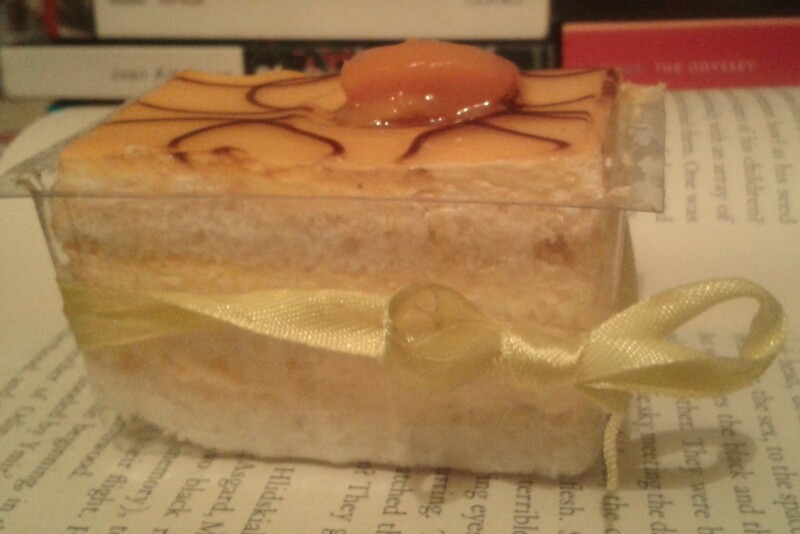 Rebecca, by Meg & Dia - I love Rebecca by Daphne du Maurier. I found this song very recently and liked that it retold the initial scenes, of the narrator falling in love with Max de Winter and was not some ode to Rebecca instead. It is a very soft song, easy to go unnoticed, but I like the piano. And I love that she calls him Mr. Summer. Favourite Lines: "Rushed down the stairs to that man, Mr. Summer. He nodded his head, with laughter in his eyes, a smirk followed close behind." 8. Du Riechst So Gut, by Rammstein - Based on lead singer Till Lindemann's favourite book, Perfume by Patrick Suskind, this is one of my favourite songs by the band. It describes a predator following the scent of its prey. The book is known for having inspired Nirvana's Scentless Apprentice, but I'll always associate it with this. I both read the book and became crazy about Rammstein during my German-learning years. Another Rammstein literature-related favourite (they do this a lot) is the ballad-like Rosenrot, which is a play on Goethe's Heidenröslein. Favourite Lines: "Der Wahnsinn. Ist nur eine schmale Brücke, die Ufer sind Vernunft und Trieb." "Madness. It's just a narrow bridge, (between) the banks of reason and desire." 9. Cassandra, by Abba - Fine, so this is not exactly book-based, but I did recently read The Iliad, does that count? I have always loved the tragedy of Cassandra, the prophetess no one believed, and I have always liked this song. Favourite Lines: "But on the darkest of nights, nobody knew how to fight. And we were caught in our sleep. Sorry, Cassandra, I didn't believe, you really had the power." 10. I'm Reading A Book, by Julian Smith - I discovered this song right when I started the blog, around the time it came out, and I have listened to it to the point of "stop-driving-me-crazy"-irritation and back since. It was a book blogger-favourite for the longest while, cropping up just about everywhere. This list would be incomplete without it. Favourite Lines: "Why are all these people always interrupting me, what I gotta do to make them see? Don't you ever interrupt me while I'm reading a book..."
Do you like any songs about books and reading? Do share in the comments! This review contains no spoilers, nothing you won't find out in the first fifty pages or so. Why I read the book: I have read The Mysterious Flame of Queen Loana before and I thought it was an amazing idea with the perfect conclusion and terribly dragging middle. Recently I stumbled upon a comment Viktoria left on an old blog post of mine, saying that Foucault's Pendulum was her favourite Eco and a much-needed antidote after she pulled through The Da Vinci Code. Too intriguing a description to ignore. About the book: Foucault's Pendulum is a novel by Italian writer Umberto Eco, translated by William Weaver. Eco spent eight years writing the book and the years of research is evident in every word. One of the genres dominating the book world for the past decade has been thrillers involving secret societies. Foucault's Pendulum has been called "the thinking man's The Da Vinci Code", as both books no doubt deal with the same theme, but in remarkably different ways. Foucault's Pendulum can be seen as a sort of parody and analysis of our gullibility and constant search for meaning. "The author, Dan Brown, is a character from Foucault’s Pendulum! I invented him. He shares my characters' fascinations - the world conspiracy of Rosicrucians, Masons, and Jesuits. The role of the Knights Templar. The hermetic secret. The principle that everything is connected. I suspect Dan Brown might not even exist." Summary: Picture a quaint Italian bar in Milan. 1970s. Casaubon, a scholar researching the Knights Templar, meets Jacopo Belbo, a failed writer who has turned to publishing. Belbo and his cabalist friend Diottalevi are editors at a vanity press. Casaubon joins the firm as an expert on the history of secret occult societies. Bored of reading scholarly manuscripts on far-fetched conspiracy theories, one day, the three editors decide to invent their own conspiracy. As a joke. They call it "the Plan." It is a hoax that connects the medieval Knights Templar with other occult groups throughout history and promises existence of a lost treasure. According to the fake Plan, the key to this treasure lies at a point in a museum in Paris, the place where the Foucault Pendulum is housed. What starts out as a game becomes all too real when existing secret groups begin to believe the Plan, going to desperate measures to track the treasure. THEMES Foucault's Pendulum is more than critique on history and culture. In the guise of a parody on society, the novel presents each of our struggles for identity, for purpose. The book talks about that concept in history and philosophy of the ultimate quest, the true knowledge, the lost treasure, you name it. It is the idea that has travelled all over the world and throughout all time, the idea that has always been present. This concept, the book shows, is what forms secret societies and occult and religious orders, whether in reality or in the mass imaginations. The novel dissects conspiracy theories and categorizes them as not social phenomena but personal ones. The thirst for an all-encompassing answer is unquenchable, and every individual's desperation to satisfy an unending curiosity, an end which is by definition out of reach, is what makes one human. Most books that revolve around religious cults and secret societies like the Knights of the Temple use a small twist on the canon and give an alternate version of history. Admittedly, I have only read a few such books, other than the Robert Langdon series I remember The Rule of Four by Ian Caldwell and Dustin Thomason. But what these generally do is weave a legendary puzzle or prophecy into a modern-day murder mystery or theft and have anthropologists and semiologists study clues and scriptures to find solutions. Most books about conspiracy buffs are books for conspiracy buffs. Because these books become willing participants of the crazy conspiring instead of questioning its existence. Foucault's Pendulum does the latter, its focus lies in discovering the psychological root of secret societies and occult theories rather than piecing together another hypothesis through scraps of historical evidence. And what better way to engage in an introspection of the psyche than to take worldly sceptics and make you watch them transition into reluctant, and soon demented, believers. TECHNIQUE (Plot, Characters, Writing Style) I have noticed lately that I get somewhat Literature-student about certain aspects of fiction. So I have separated my rants into sections that the weary reader can skip if not interested. Characters: As I said, this is book about people. Eco uses great technique to bring out the many facets of his characters. Take for instance Jacopo Belbo. He is the kind of man I would be instantly attracted to. He is witty and on the whole, lost in his own erratic world. At Pilade's, the bar where the Casaubon meets him, Belbo is the sort that sits in a corner and judges people. He makes snide jokes with a straight face, does not appear to be bothered if no one finds them funny. He has opinions, lots of them. Firm and fixed. He puts on an air of nonchalance, but is in fact very particular and selective about making his views known. Belbo can be exasperating, often is, and though he makes a cool sceptic, he lacks any real strength. When he falls in love, he appears kind of bumbling, under her spell. And yet, in spite or partly because of his awkward but frequently self-aggrandizing ways, he is a man I would find charming. I got through half the book before I realized I had no idea how he looked, I wondered if Eco had even bothered to describe his appearance, and I didn't care. But you don't only see Belbo through the narrator's lens. Interspersed through the narrative are his own writings. 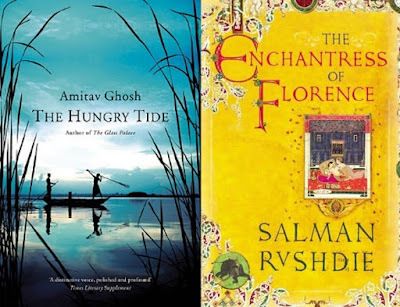 These reveal a curious detail about human behaviour that most of us ignore when reading books - that you cannot really know a character, unless you have been inside his mind. That any story with only one narrator is essentially incomplete or misleading. In today's writing world, multiple points of view or shifting points of view are frowned upon as taking the easy way out. I disagree, and this book illustrates why. Whereas to the narrator Belbo seems harmlessly frivolous and whimsical, his self-indulgent pompous raving makes him sound grossly delusional. And this revelation tells you a little something about Casaubon too, his point of view becomes clearer when in contrast with another. And you begin to question his reliability as the narrator. That is an intriguing approach to character-building, I think. The women, on the other hand, are something of a problem for me. I kept expecting more out of Belbo's muse and recurring lover Lorena Pellegrini and she failed to capture me till the very end. In a book that has so much to do with personae it is a let-down to find this maudlin a symbol of seductive womanly wisdom. A quasi-reincarnation of the goddess of love Sophie, Lorenza is beautiful and decadent, but she never transcends the stereotype. The gorgeous untameable woman supposedly has a discerning intellect, and she does seem to know it but never quite manages to show it. You are told over and over that she is the ultimate muse, both “the saint and the prostitute,” but really, Lorenza is just a flimsy paper doll of a character. Not that the incredulous person doesn't believe in anything. It’s just that he doesn't believe in everything. Or he believes in one thing at a time. He believes a second thing only if it somehow follows from the first thing. He is nearsighted and methodical, avoiding wide horizons. If two things don’t fit, but you believe both of them, thinking that somewhere, hidden, there must be a third thing that connects them, that’s credulity. Incredulity doesn't kill curiosity; it encourages it. Though distrustful of logical chains of ideas, I loved the polyphony of ideas. As long as you don't believe in them, the collision of two ideas - both false - can create a pleasing interval, a kind of diabolus in musica. I had no respect for some ideas people were willing to stake their lives on, but two or three ideas that I did not respect might still make a nice melody. Or have a good beat, and if it was jazz, all the better. "You live on the surface," Lia told me years later. "You sometimes seem profound, but it’s only because you piece a lot of surfaces together to create the impression of depth, solidity. That solidity would collapse if you tried to stand it up." "Are you saying I'm superficial?" "No," she answered. "What others call profundity is only a tesseract, a four-dimensional cube. You walk in one side and come out another, and you're in their universe, which can't coexist with yours." Plot: Now here lies my greatest issue with the book. 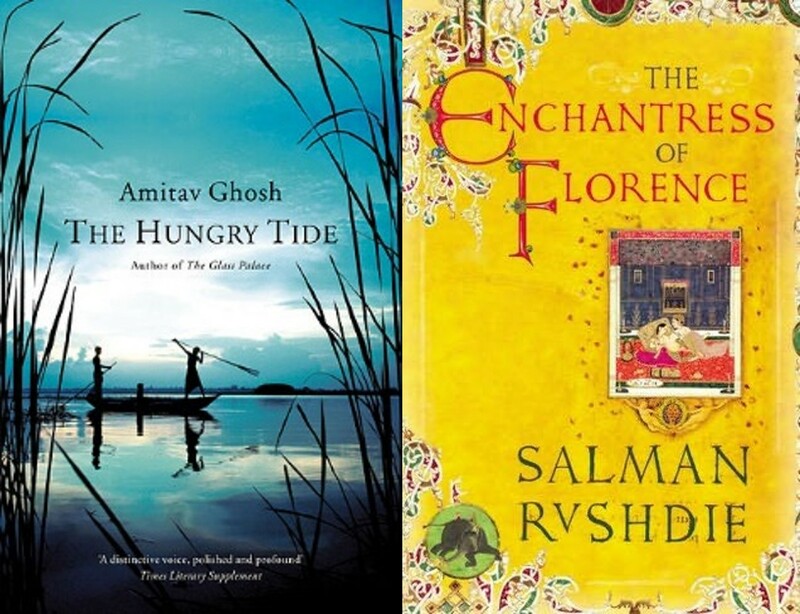 It is not so much a complaint as a question, to you - what would you say is the right recipe for a good work of fiction? For me, to be honest, this book made a far greater read than something of the likes of Dan Brown's novels - which, I admit, I had thoroughly enjoyed. Foucault's Pendulum has a warped ending, that is all the more disappointing after a tense build up. But I deem books with absurd plot twists or snail-speed stories, which provide personality and rich writing, still more worthy of my time than swift but well crafted plots that allow little space for detailing or self-reflection. But I understand and appreciate the attraction of either. I would be a fool to say Foucault's Pendulum is a better work of fiction than its quick thrilling contemporaries. It isn’t. Eco is undoubtedly an erudite thinker and deserving of all his critical and popular acclaim. But, in my humble opinion, he is not a good storyteller. It wouldn’t wholly surprise me if people whose tastes usually match mine find The Da Vinci Code better than Foucault’s Pendulum. Because unlike Eco, Brown has nailed that trick of writing that makes you stay up late into the night, eyes glued to the book, both unable to put it down and unwilling to finish it and end the ride. And storytelling is not easy. There were multiple times reading this novel when I began to lose my way in the maze of symbolism and heaving philosophy, and had to put the book down and rest my eyes and mind. I don't think it was simply clunky translation that made me do this. There were pages and pages of dialogue and description that made me crave for action. I was also aware throughout that there was much more to glean from the book than one read would let me. All these factors took away some of the sheer abandon and enjoyment only good fiction can provide. Reading this book felt, at times, like a chore. In the end, it was worth it, but I wouldn't lie and say the experience could not have been better. Perfection to me would be an author who has both, the storytelling techniques of a thriller writer and the sagacious attention to detail of a scholar – any suggestions? According to Eco every detail he has included is crucial to understanding his work. But still fresh in my memory are long winded monologues, chunks of description, lists of data that made me wish he had had a stricter editor. And it is no surprise that this was true of the other book I read by Eco. 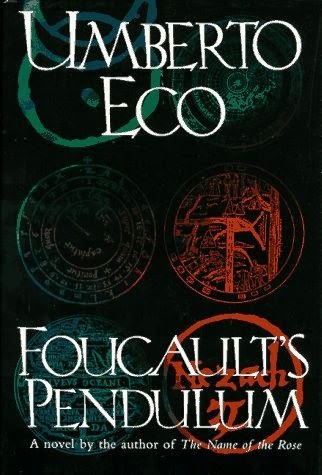 I really like Foucault's Pendulum by Umberto Eco, but the staunch philosophizing makes it a tough book to love.